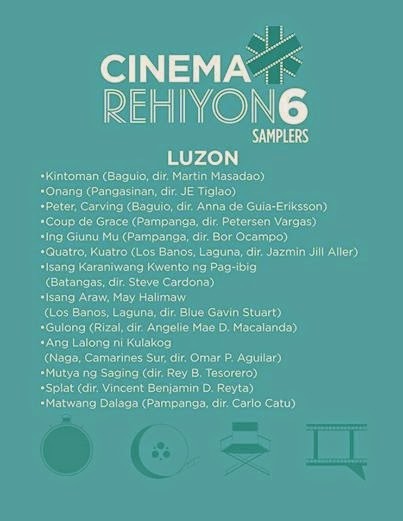 In celebration of CineSB Independent Filmmaking Festival, the De La Salle-College of St. Benilde presents 13 short films from Cinema Rehiyon 6 (Luzon entries) on April 7, 2014 at 4-7pm. This will be held at the School of Design & Arts (SDA) Theater, 12th floor. The school is located at Pablo Ocampo St. (formerly Vito Cruz), corner Taft Avenue, Manila. Admission is FREE.